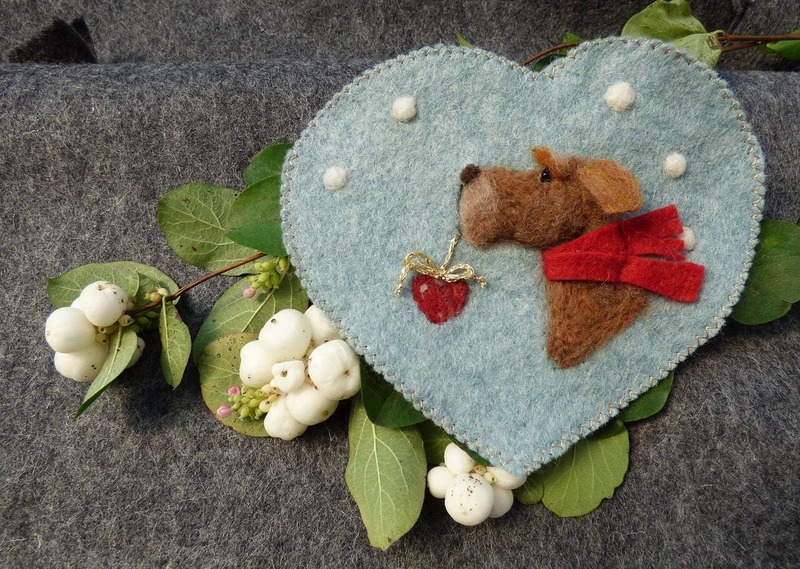 Faithful friend bring a heart to the one he loves. 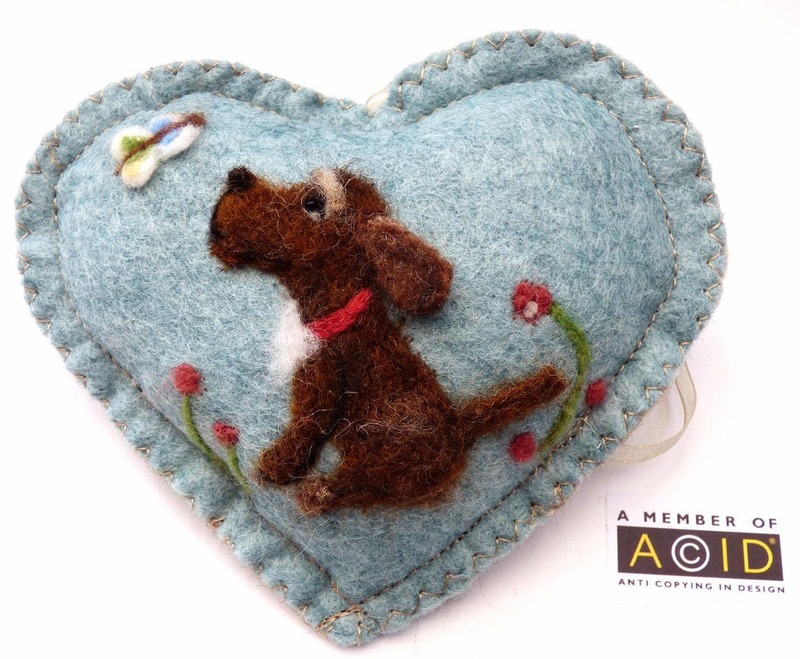 These needle felted pups are wrapped up cosy and warm with a scarf with the snow falling around them. 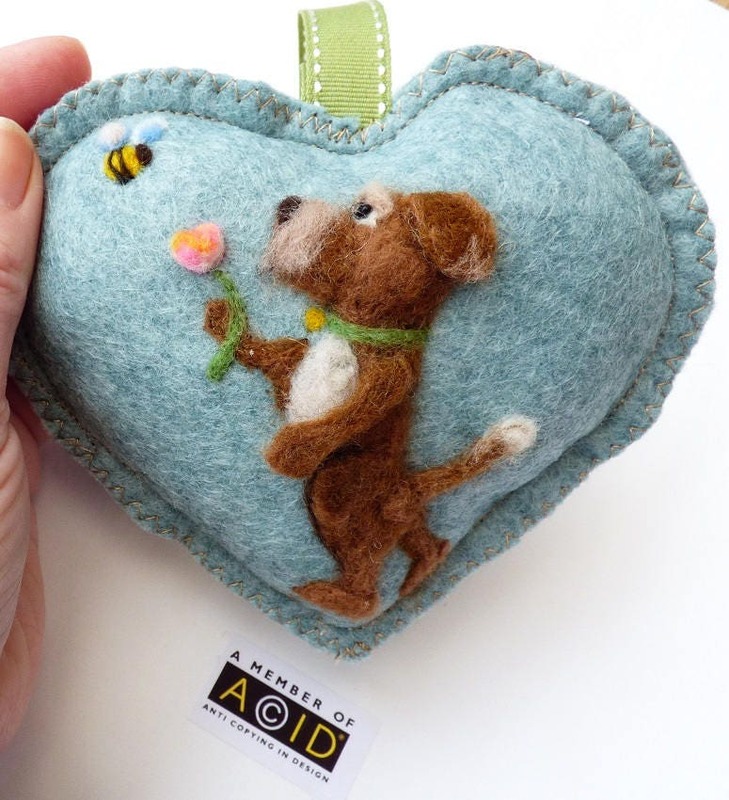 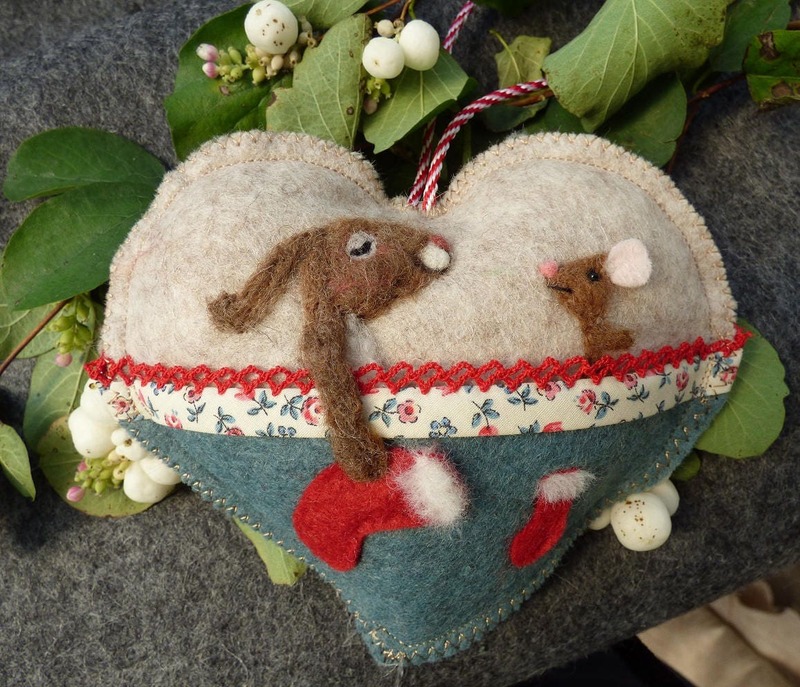 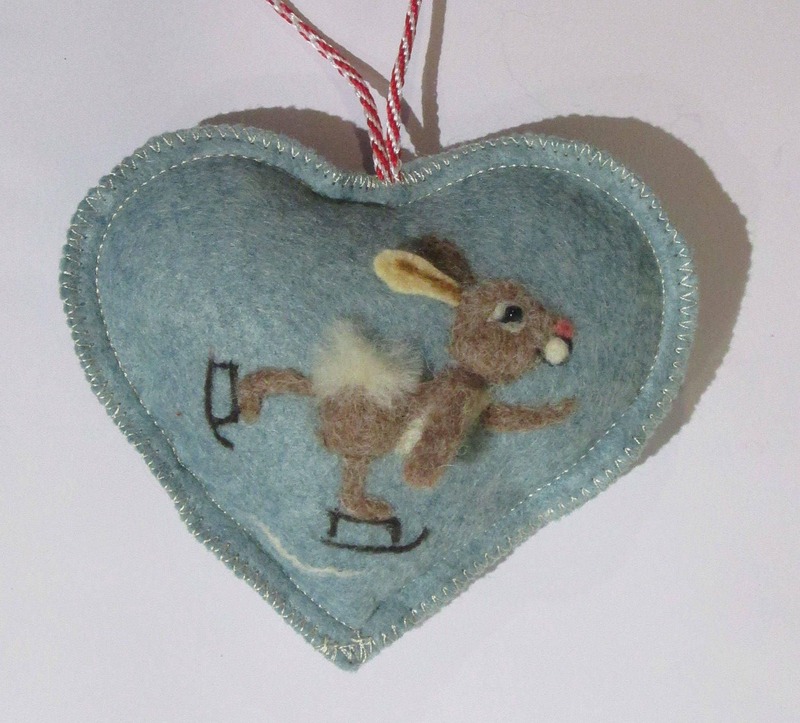 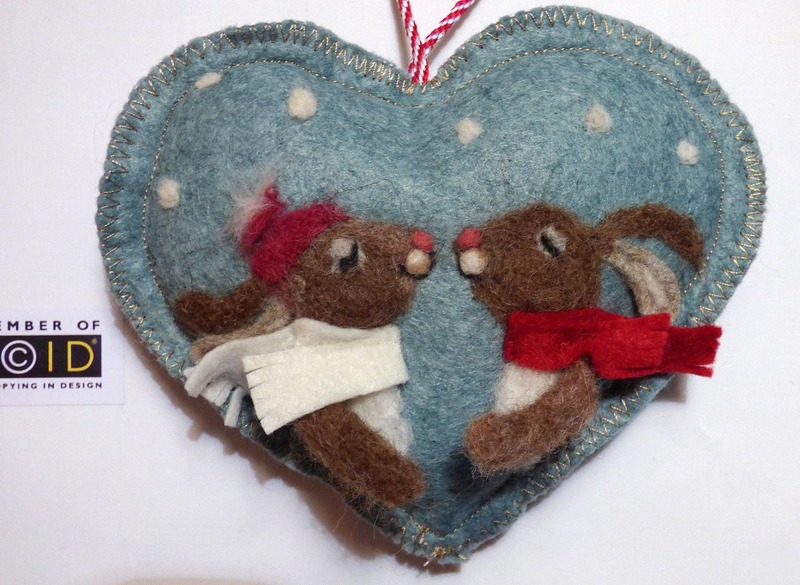 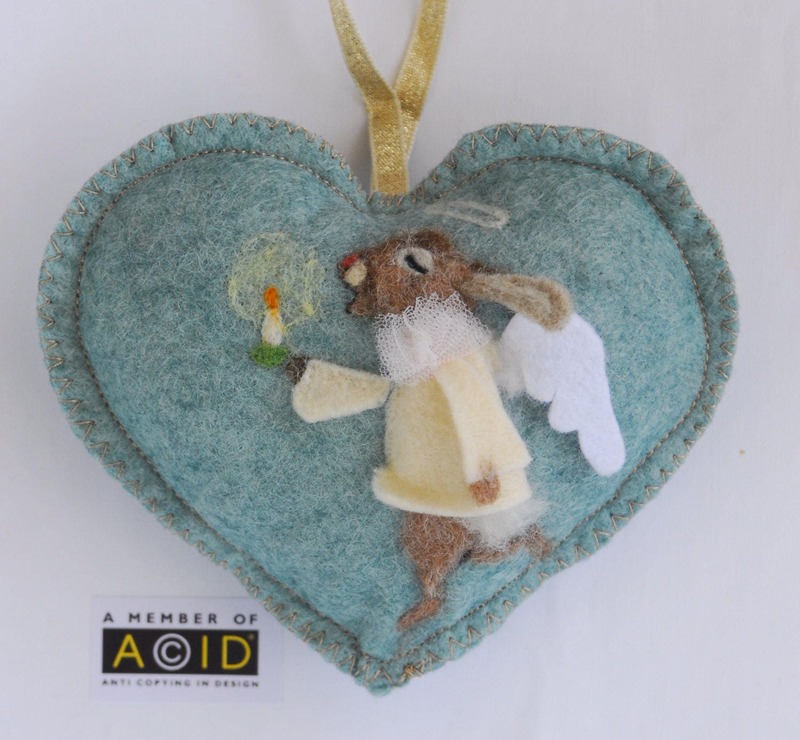 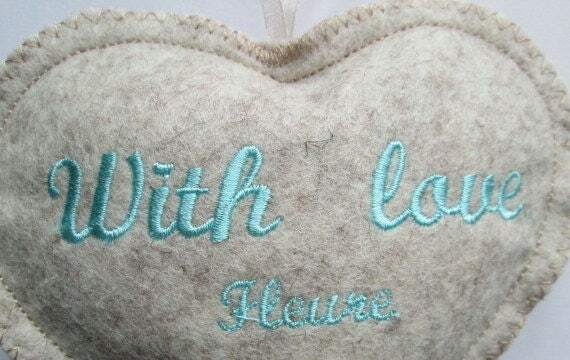 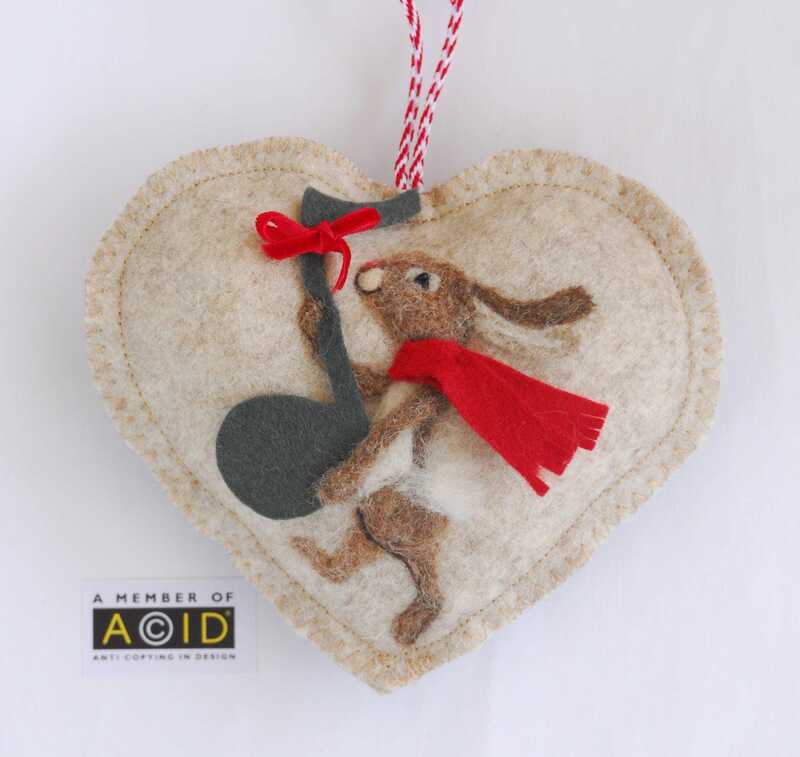 The design is needle felted with Somerset and Scottish wool and the rabbit is in Full Relief -The ears and arms are 3 dimensional making the heart attractive from many angles.